I am pleased to formally announce the United States Pump Festival 2018! 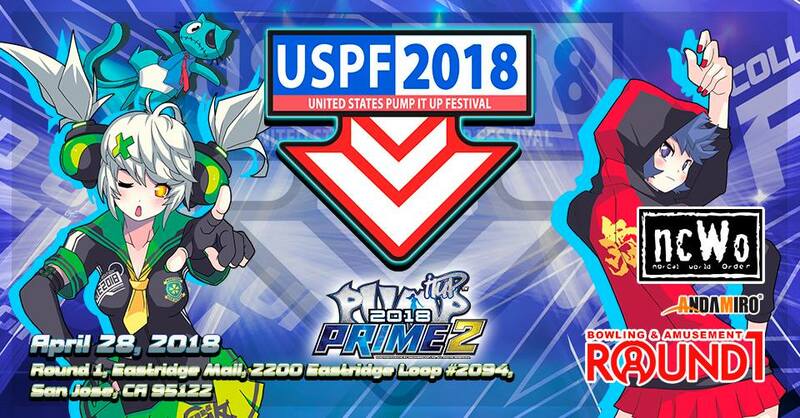 USPF 2018, the official national tournament for Pump It Up for the United States of America, will be taking place in the San Francisco Bay Area in Northern California in the heart of Silicon Valley in Round 1 Eastridge Mall in San Jose! As it was in previous USPFs, there will be female speed, freestyle, and male speed divisions. The winner of each of these divisions will be eligible for a future international official Pump It Up event. This will be the first time for a national Pump It Up tournament to take place in the San Francisco Bay Area, and I, Kevin Tan, the official West USA Supporter, and other Northern California Pump It Up players are eager to welcome all of you into our area! We will be posting more official details and rules in the future. Are you interested in attending or participating in USPF 2018? Please feel free to sign up so that we can better plan our event schedule for the day of the tournament. If you do not already have a piugame account, please make one so that you can enter the tournament. NOTE – during downtime in freestyle and female speed divisions, we will be allowing male speed qualifiers due to the sheer amount of entrants. Whenever possible, we will announce when qualifiers can be done. 1. Playing with socks only or playing barefoot is not permitted at Round 1. All competitors must wear shoes. 2. Please do not do anything to cause damage to the machine. 3. Competitors may only enter into one category. 4. Competitors may not drink alcohol during the tournament according to venue rules. 5. Please do not commits act of political, regional, national, individual, and racial discrimination. All Prime 1 and Prime 2 New Tunes up to the 2.02 update.